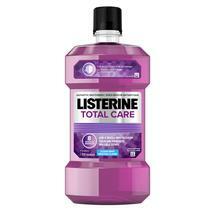 LISTERINE POCKETMIST® Breath Spray is rated 4.7 out of 5 by 13. We secretly all wish we could be that person that brushes after every meal, but seriously, who has the time? 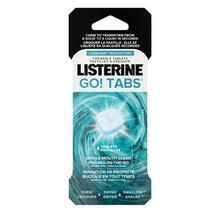 That’s why LISTERINE POCKETMIST® is perfect to freshen up while on the go. 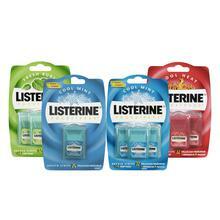 It instantly refreshes your mouth by killing 99% of bad breath bacteria. And it’s completely portable – ideal to keep on a keychain, in your purse or at your desk. 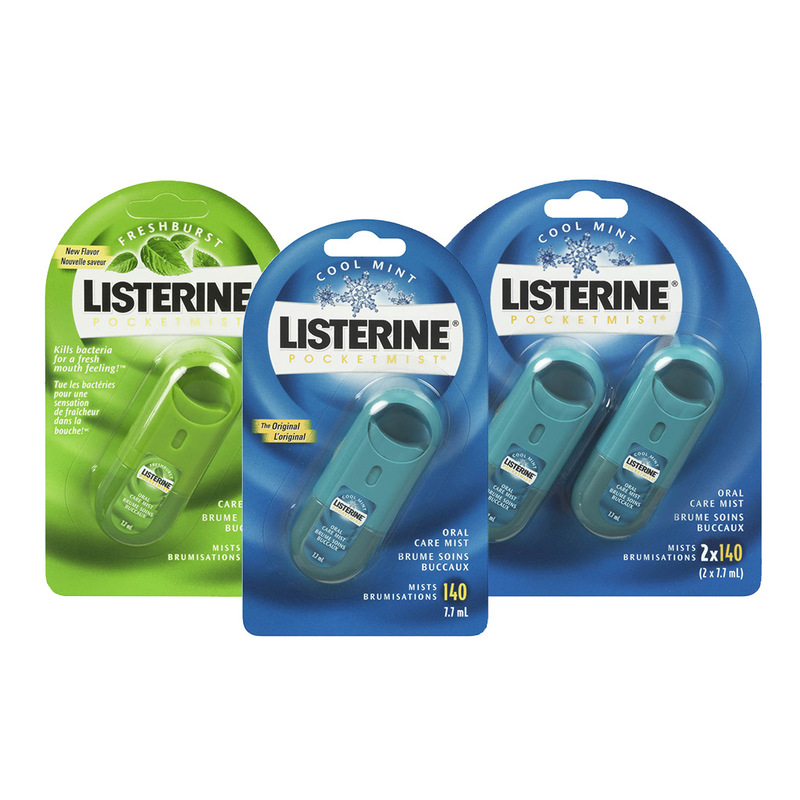 So rather than rushing to the washroom after every meal, breathe easy with LISTERINE POCKETMIST®, available in our iconic COOL MINT® and FRESH BURST® flavours for minty freshness. Rated 5 out of 5 by Lolly68 from So refreshing you won't want to leave home without it! I carry around this little pocket mist in my purse every day. One mist and my breath is icy fresh and I am ready to take on any situation with the confidence that my breath is fresh. I don't leave home without it and highly recommend everyone carries this in their bag or pocket for fresh breath! Rated 4 out of 5 by janousek from Kills the coffee bad bread smell My hubby uses this after he had his coffee when he is out & about, so that his breath won't offend his clients. Rated 4 out of 5 by Anonymous from Pocket mist It was hot at first but, it melted fast in your mouth. My husband liked the smell of my breath. It is convenient to have in your purse. Rated 5 out of 5 by Darlene1 from Handy Product I like this product because I can just throw it in my purse to use in an emergency. Compact, portable, and easy to use. Rated 3 out of 5 by sacrebleu1234 from Works fine, doesn't last too long I find that this does not work as well and I have to continue to keep taking them.